Other religious duties also sometimes run afoul of state interests. An extreme example is the practice of human sacrifice, which was common in some ancient societies. Even in cases where this might be carried out voluntarily, few would argue today that banning this practice constitutes an unnecessary abridgment of religious freedom. Female circumcision, also called female genital mutilation (FGN), is a more contentious issue, with some Muslim groups claiming this to be a religious duty and women's rights groups contending that it constitutes a crime which must be stopped by the state regardless of the opinions of those participating in the practice. The rights of groups such as Jehovah's Witnesses and Christian Science practitioners to withhold medical attention from their children is another contentious issue involving the tension between religious freedom and the state's need to protect the health of its citizens. Some states have sought to ban groups that the state considers "dangerous," ranging from the above-named groups to more recent "sects" accused of brainwashing new members. Arguing against such policies is the principle in Article 18 of the Universal Declaration of Human Rights affirming the right to change one's religion, implying that this is so even if one's new religion may be unpopular or disturbing to the majority of society. The story of the Exodus is cast against a background of religious and ethnic repression. 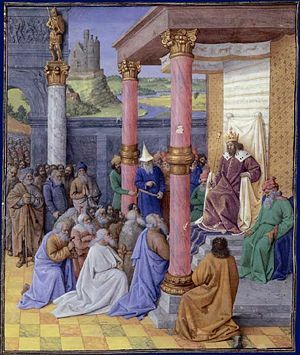 The liberation of the Hebrews, together with the model of Moses confronting the Egyptian king to speak “truth to power,” has served as inspiration for both religious and political movements. It remains an archetype of the principle that one’s conscience takes precedence over any earthly authority. However, once the Israelites gained their own nation in the land of Canaan they did not grant religious freedom to native peoples but are reported in the Bible to have driven them out and later enacted legislation that repressed all religion except that approved by the Jerusalem priesthood. I Cyrus, king of the world... when I entered Babylon... Marduk the great god I sought daily to worship... As far as the region of the land of Gutium, the holy cities beyond the Tigris whose sanctuaries had been in ruins over a long period, the gods whose abode is in the midst of them, I returned to their places and housed them in lasting abodes. [These] gods... at the bidding of Marduk, the great Lord, I made to dwell in peace in their habitations, delightful abodes. King Piyadasi (Ashoka), dear to the Gods, honors all sects, the ascetics (hermits) or those who dwell at home, he honors them with charity and in other ways... One must not exalt one’s creed discrediting all others, nor must one degrade these others without legitimate reasons. One must, on the contrary, render to other creeds the honor befitting them. The right to worship freely was promoted by most ancient Indian dynasties until around 1200 C.E. The initial entry of Islam into South Asia came in the first century after the death of the Prophet Muhammad. When around 1210 C.E. the Islamic Sultanates invaded India from the northeast, the principle of freedom of religion gradually deteriorated in this part of the world. In the West, Alexander the Great and subsequent Greek and Roman rulers generally followed a policy of religious toleration, allowing local religions to flourish as long as they also paid homage to the state religion as well. Several notable exceptions arose in relation to the Jews, as a result of their insistence that they must acknowledge their own God alone. The religious practice of circumcision was also an issue between the Greeks and the Jews, as it was considered abhorrent to the Greeks and later the Romans, who occasionally sought to suppress this Jewish practice. 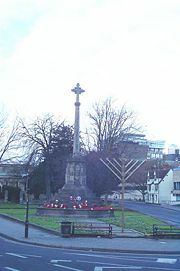 The early Christians, at first considered a Jewish sect, faced similar persecutions for refusing to honor the state deities. The issue of the relation between religion and the state took clearer form in the West as Christianity came to the fore. Jesus himself became a victim of religious intolerance when, according to the New Testament, he was arrested for his religious teachings and turned over to Rome as a would-be Messiah by the high priest of Judaism and his supporters. Christians were first persecuted as a distinct group from the Jews when the Emperor Nero blamed them for the great fire of Rome in 68 C.E. In the early second century, the Emperor Trajan officially proscribed the Christian religion, and Christians suffered varying degrees of persecution. Over the next two hundred years Christians experienced repression when certain emperors insisted on their adherence to Roman state religious traditions, which many Christians suffered martyrdom to avoid. 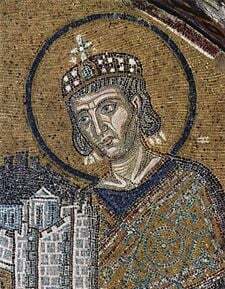 Constantine the Great, mosaic in the Hagia Sophia, c. 1000 C.E. It has pleased us to remove all conditions whatsoever... concerning the Christians and now any one of these who wishes to observe Christian religion may do so freely and openly, without molestation... We have also conceded to other religions the right of open and free observance of their worship for the sake of the peace of our times. A decade later, however, Constantine embarked on a course less tolerant toward non-Christian religions, intervening on behalf of the “orthodox” party in the Arian controversy and commanding Christians not to associate with Jews. The state would now be the final arbiter in distinguishing proper doctrine from heresy, and factions within Christianity would vie for imperial support. The state changed sides several times in the Arian controversy before Theodosius I took power and declared orthodox (Catholic) Christianity to be the official state religion in 392 C.E. Christians then began using the power of the state to persecute other Christians, as well as to pressure pagans to convert to Christianity. Yet, other passages in the Qur’an indicated that pagans could be enslaved or even killed if they did not accept Islam. In practice, however, religions such as Hinduism and Buddhism usually found a degree of tolerance from Islamic governments. To be sure, Christians in large numbers nevertheless suffered as Islamic armies marched on what had formerly been the Christian Empire in the East, and many were persuaded to convert to Islam by the sword. Nor can it be denied that thousands of Muslims and even many Eastern Christians were slaughtered by European Christians during The Crusades. Jews fared better under Islamic governments than under European Christian ones. A succession of Christian kings expelled Jews from their lands. Jews were forbidden to own property and engage in certain professions. Preachers often blamed them for the Crucifixion and strongly discouraged Christians from associating with them. The first Crusade, though not directed against the Jews, nonetheless resulted in the massacre of many Jews by crusading Christians, thirsty for infidel blood. At other times, some Christian preachers overtly aroused anti-Jewish mobs to violence. The Inquisition, originally established by papal bull in 1184, had targeted Christian heretics such as the Cathars before it turned its sights on Jews. Punishment, which was carried out by the secular government rather than the church courts, ranged from confiscation of property to prison, banishment, and, of course, public execution. Torture was not considered punishment, but a permissible tool of church investigators. Targets of the Inquisition included the Cathars of southern France, the Waldensians, the Hussites, the Knights Templar, Spiritual Franciscans, witches (the most famous being Joan of Arc), Jews, Muslims, freethinkers, and Protestants. Unless I am convinced by proofs from Scriptures or by plain and clear reasons and arguments, I can and will not retract, for it is neither safe nor wise to do anything against conscience. Here I stand. I can do no other. God help me. Though the advent of the Reformation did not immediately mark a new era for religious freedom, it did enable formerly heretical practices, such as translating the Bible into the vernacular, to flourish. In 1535, the Swiss canton of Geneva became Protestant, but the Protestants often proved as intolerant of differences of opinion as the Catholics. As Europe witnessed a series of wars in which religion played a key role, a seesaw struggle between Protestantism and Catholicism was also evident in England when Mary I of England returned that country briefly to the Catholic fold in 1553. However, her half-sister, Elizabeth I of England was to restore the Church of England in 1558. 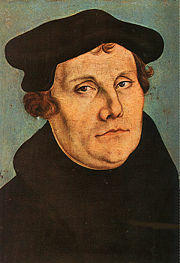 In the Holy Roman Empire, Charles V agreed to tolerate Lutheranism in 1555 at the Peace of Augsburg. Each state was to take the religion of its prince, but within those states, there was not necessarily religious tolerance. Citizens of other faiths could relocate to a more hospitable environment. In 1558, the Transylvanian Diet of Turda declared free practice of both the Catholic and Lutheran religions, but prohibited Calvinism. Ten years later, in 1568 the Diet extended the freedom to all religions, declaring that "It is not allowed to anybody to intimidate anybody with captivity or expulsion for his teaching." The Edict of Turda is considered by mostly Hungarian historians as the first legal guarantee of religious freedom in the Christian Europe. In France, although peace was made between Protestants and Catholics at the Treaty of Saint Germain in 1570, persecution continued, most notably in the Saint Bartholomew's Day Massacre on August 24, 1572, in which many Protestants throughout France were killed. It was not until the converted Protestant prince Henry IV of France came to the throne that religious tolerance was formalized in the Edict of Nantes in 1598. It would remain in force for over 80 years until its revocation in 1685 by Louis XIV of France. Intolerance remained the norm until the French Revolution, when state religion was abolished and all church property confiscated. In 1573, the Warsaw Confederation formalized in the newly formed Polish-Lithuanian Commonwealth the freedom of religion that had a long tradition in the Kingdom of Poland. However, intolerance of dissident forms of Protestantism continued, as evidenced by the exodus of the Pilgrims who sought refuge, first in Holland, and ultimately in America, founding the Plymouth Colony in Massachusetts in 1620. William Penn, the founder of Philadelphia was involved in a case which had a profound effect upon future American law and that of England. A jury refused to convict William Penn of preaching a Quaker sermon, which was illegal. Even though the jury was imprisoned for their acquittal, they stood by their decision and helped establish freedom of religion. The Puritans in England, on the other hand, would soon demonstrate a more intolerant brand of Protestantism during the reign of Oliver Cromwell in the mid-seventeenth century. There shall be a Christian and Universal Peace, and a perpetual, true, and sincere Amity, between his Sacred Imperial Majesty [the Holy Roman Emperor], and his most Christian Majesty [of France]; as also, between all and each of the Allies... That this Peace and Amity be observ’d and cultivated with such a Sincerity and Zeal, that each Party shall endeavour to procure the Benefit, Honour and Advantage of the other; that thus on all sides they may see this Peace and Friendship in the Roman Empire, and the Kingdom of France flourish, by entertaining a good and faithful Neighbourhood. The care of souls cannot belong to the civil magistrate, because his power consists only in outward force; but true and saving religion consists in the inward persuasion of the mind, without which nothing can be acceptable to God. 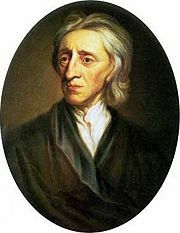 And such is the nature of the understanding, that it cannot be compelled to the belief of anything by outward force. Confiscation of estate, imprisonment, torments, nothing of that nature can have any such efficacy as to make men change the inward judgment that they have framed of things. Religious freedom would be the first liberty guaranteed in the U.S. Constitution’s Bill of Rights, which begins by declaring, "Congress shall make no law respecting an establishment of religion, or prohibiting the free exercise thereof." This was the first time in history that a nation would constitutionally limit itself from creating laws tending to establish a state religion. While affirming the right to religious freedom, the French revolutionaries adopted a more militantly secularist path. Not only would the state reject the establishment of any particular religion, it would take a vigilant stand against religion involving itself in the political arena. The American tradition, on the other hand, tended to accept religious involvement in public debate and allowed clergymen of various faiths to serve in public office. Constitutional government became the norm throughout the world over the next century, usually with guarantees of religious freedom. Unlike the American model, however, many European and colonial governments supported a state church, while minority religious and new sects still faced disadvantages and sometimes persecution. The advent of Soviet communism presented a new threat to religious freedom, as Marxism-Leninism took a militantly materialistic and atheistic stand. Seeing religion as a tool of capitalist oppression, Soviet communists had no compunction in destroying churches, mosques, and temples, turning them into museums of atheism, and even summarily executing clergymen and other believers by the thousands. During World War II, fascist governments also brutally repressed religions that refused to cooperate with their nationalistic aims. Nazism added a particularly virulent brand of racism to the mix, and Hitler succeeded in murdering the majority of European Jews before finally facing military defeat. The communists, led by the Soviet Union, begrudgingly accepted the declaration, perhaps with the cynical attitude that it was only as powerful as the paper it was written on. The Muslim world, however, has taken more formal exception to Article 18, objecting that the Qur'an outlaws both “blasphemy” (thus limiting the expression of religious ideas) and “apostasy” (thus forbidding Muslims from changing their religion). The right to religious freedom has its foundation in the very dignity of the human person. 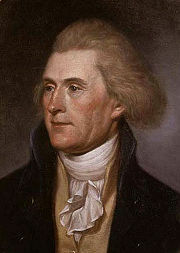 In all his activity a man is bound to follow his conscience in order that he may come to God... It follows that he is not to be forced to act in a manner contrary to his conscience. Nor, on the other hand, is he to be restrained from acting in accordance with his conscience, especially in matters of religion. Today there are no exclusively Catholic state churches outside of the Vatican itself, and religious freedom for Protestant groups in majority Catholic countries is much improved, especially in Latin America. With the demise of the Soviet Union, a wave of religious freedom also swept over Eastern Europe. Churches, monasteries, and synagogues that had been used for the state’s secular purposes were turned over to their rightful owners, and millions of believers at last felt free to worship as their consciences led them. An upsurge of interest in "new religions" (new to Russia, that is, including Protestant missionary groups) soon emerged, followed by a backlash from Orthodox churches, which influenced the state to crack down on “foreign” groups in some parts of eastern Europe and Russia. In East Asia, the nations of China, Laos, North Korea, and Vietnam remain under officially communist regimes that continue to repress religious freedom for those groups suspected of possible disloyalty to the state. These include Catholics loyal to the pope, Muslims, Tibetan Buddhists, Protestants, and the Falun Gong movement in China; Protestants in Laos, and the Hao Hoa and Cao Dai new religious movements as well as some Christians in Vietnam. North Korea has succeeded in virtually eliminating publicly expressed religion except for a small number of official places of worship operated mainly for the benefit of tourists. Europe, with its history of warfare and fratricide among religions since the time of the Reformation, continues to struggle with the question of how to treat new sects and minority religions. Solutions range from laws allowing the “liquidation” of sects in France, to banning religious leaders from entering several countries, to government commissions finding that the new groups do not, after all, pose a real threat. The question of dealing with the “sects” is liable to play a significant role in the evolution of a unified European identity, as will the question of favoring certain churches over others—-such as the Catholic and Lutheran churches in Germany or the Orthodox Church in eastern Europe. The United States, meanwhile, faces battles over refining the finer points of religious freedom, questions such as whether it is constitutional to include “Under God” in the Pledge of Allegiance and whether or how the Ten Commandments may be displayed on government property. Muslim countries continue to take exception to international standards regarding religious freedom. Imprisonment, confiscation of property, and even executions still take place for the crimes of blasphemy and apostasy in several Muslim nations. The genocide of Christian and native-religious tribal groups in southern Sudan resulted at least partly from a government policy to Islamize the region. In some countries, minority religions are left unprotected from Muslim fanatics who take literally the teaching that “infidels” may be killed and their daughters forced to became second or third wives of Muslim men. Fundamentalist movements such as the Taliban and al Qaeda threaten to impose even stricter Islamic regimes with harsh punishments against infidels and apostates. On the other hand, Muslim believers in places such as India are sometimes left unprotected from Hindu mobs, Uighur Muslims face widespread repression in China, and Muslims in Western nations and Israel face discrimination as a result of the backlash against terrorist attacks. As a nation formally dedicated to religious freedom and proud of its history in promoting this basic principle of human rights, the United States formally considers religious freedom in its foreign relations. 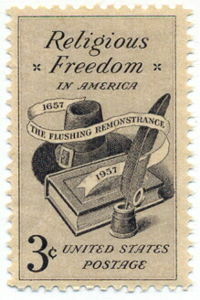 The International Religious Freedom Act of 1998 established the United States Commission on International Religious Freedom, which investigates the records of over two hundred other nations with respect to religious freedom, and makes recommendations to submit nations with egregious records to ongoing scrutiny and possible economic sanctions. Many human rights organizations have urged the United States to be still more vigorous in imposing sanctions on countries that do not permit or tolerate religious freedom. Some critics charge that the United States policy on religious freedom is largely directed towards the rights of Christians, particularly the ability for Christian missionaries to evangelize, in other countries. ↑ State religions vary on this issue. For example, in some Islamic states converting from Islam is a capital offense, as is proselytizing among Muslims. On the other hand, the official Church of England, for example, allows other faiths to preach freely and there is no legal penalty for converting from the state religion. Other European societies provide a preferred status for state-approved religions, putting smaller or less approved groups at a disadvantage. ↑ The UN Human Rights Commission has specifically affirmed that smaller and newer religions, and not just well established ones, are covered by Article 18. Indeed it is these groups that often face the greatest threat of persecution by an intolerant majority. ↑ Qur'an in English Translation by Yusuf Ali. Retrieved May 23, 2017. 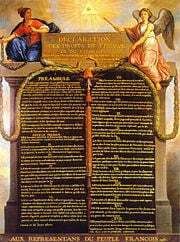 History of "Freedom of religion"
This page was last modified on 23 May 2017, at 21:30.